Dr. Michelle Granshaw is an Assistant Professor of Theatre Arts. She also is affiliate faculty with the Global Studies Center, the European Union Center of Excellence/European Studies Center, Gender, Sexuality, and Women Studies Program, and Cultural Studies at the University of Pittsburgh. At Pitt, she teaches in the undergraduate and graduate curriculum. Born in Selden, NY, Dr. Granshaw attended New York University where she majored in History and Dramatic Literature, Theatre History, and Cinema. After completing her MA in Theatre and Performance Studies at the University of Maryland, she pursued her PhD in Theatre History, Theory, and Criticism from the University of Washington. During her years at the UW, she won the School of Drama's Michael Quinn Writing Award and a UW Graduate School Presidential Dissertation Fellowship to support the completion of her dissertation. 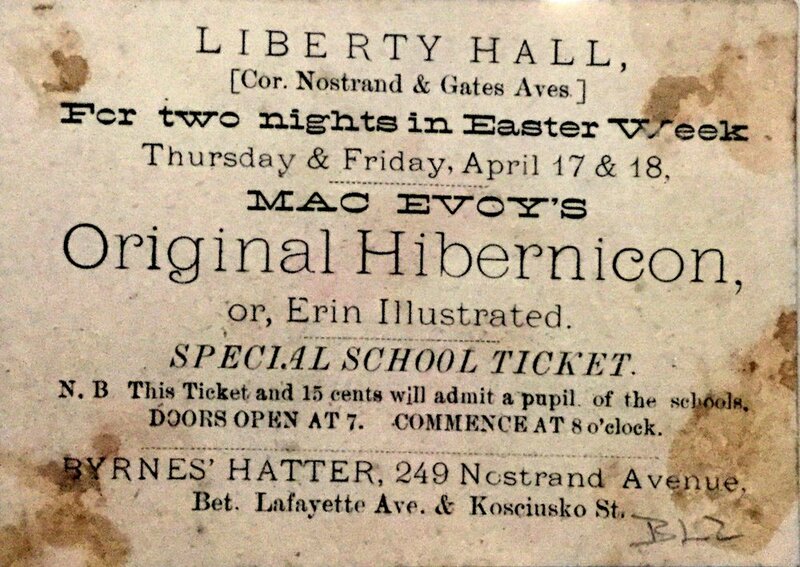 MacEvoy's Original Hibernicon Ticket. Private Collection. 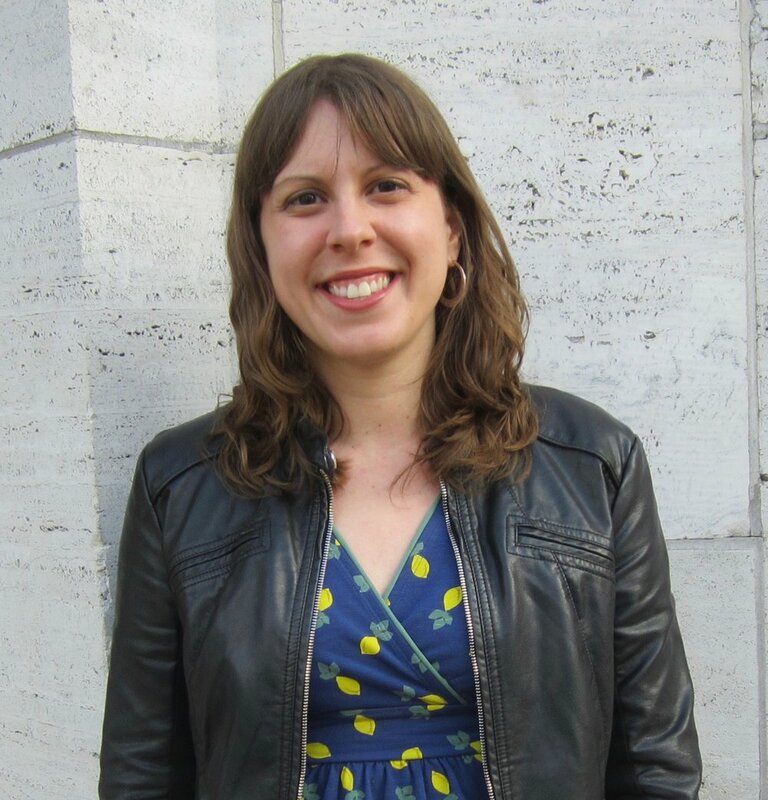 Dr. Granshaw has presented her research at the American Society for Theatre Research, Association for Theatre in Higher Education, American Society for Eighteenth Century Studies, McNeil Center for Early American Studies, and Mid-America Theatre Conference. She serves on committees for the American Theatre and Drama Society and the American Society for Theatre Research and was Theatre History Symposium co-chair at the Mid-America Theatre Conference for 2016 and 2017. Her research analyzes impoverished, disenfranchised, and immigrant communities and how they shaped and were influenced by the embodied and imaginative practices within theatre and performance. Her first book manuscript entitled Dramaturgies of Mobility in Irish-American Performance argues that nineteenth-century variety theatre formed a crucial battleground for anxieties about mobility, immigration, and ethnic community in the United States. She details how “dramaturgies of mobility” -- repeated narratives, types, images, strategies, and performative practices -- transformed shifts in mobility into systems of meaning to be received, resisted, and reformed. 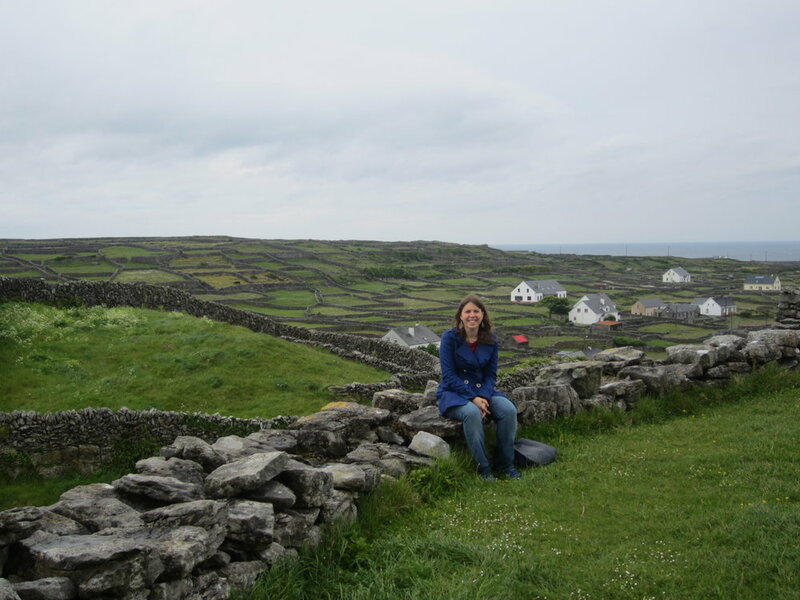 Dr. Granshaw won the 2013 Hibernian Research Award from the Cushwa Center for the Study of American Catholicism at the University of Notre Dame, 2014 American Theatre and Drama Society Faculty Travel Award, and 2016-2017 Harry Ransom Center Research Fellowship in the Humanities in support of her book project. Drawn from her book research, "Inventing the Tramp: The Early Tramp Comic on the Variety Stage,” won the 2018 Robert A. Schanke Theatre Research Award at the Mid-America Theatre Conference.